Boddingtons has boosted its UK sales and marketing force with the appointment of Chris Philpott to the team. Chris’s primary role will be the sales of the manufacturing services now offered by the company’s new £4.6m state-of-the-art injection moulding plant in Marden, Kent. The new Boddingtons facility was formally opened by Lord Digby Jones on November 1st, 2016. It has been a busy Q4, 2016 for Boddingtons; winning 2016 Processor of Year at the Plastics Industry Awards (PIA), opening its new manufacturing facility and exhibiting at the prestigious Compamed show in Düsseldorf two weeks later. At the new factory launch Lord Jones praised the Boddingtons team for its ‘amazing new manufacturing facilities’ and for the company’s forward thinking and strategic investments in plant, people and technology. 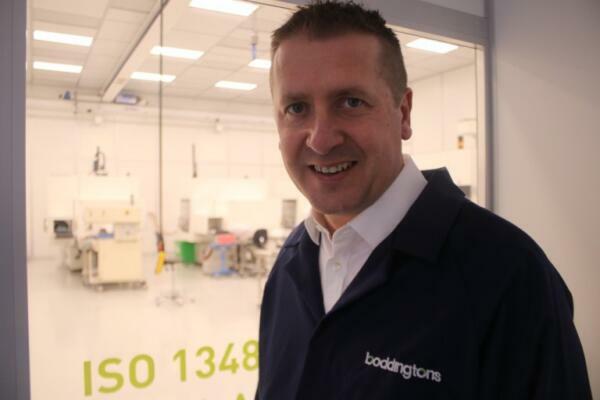 The advanced moulding environment at Boddingtons now includes; expandable Class 7 cleanrooms, reducing bioburdens and particulates; white room(s) with less fibres and contaminants, disaster recovery safeguards and many other customer benefits.